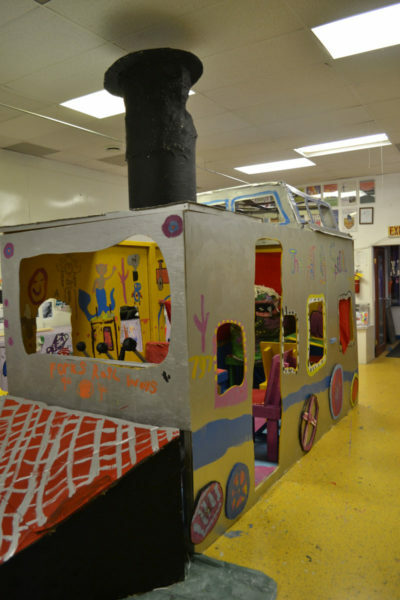 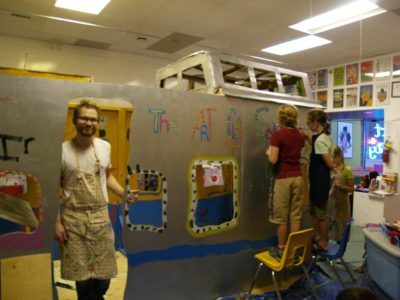 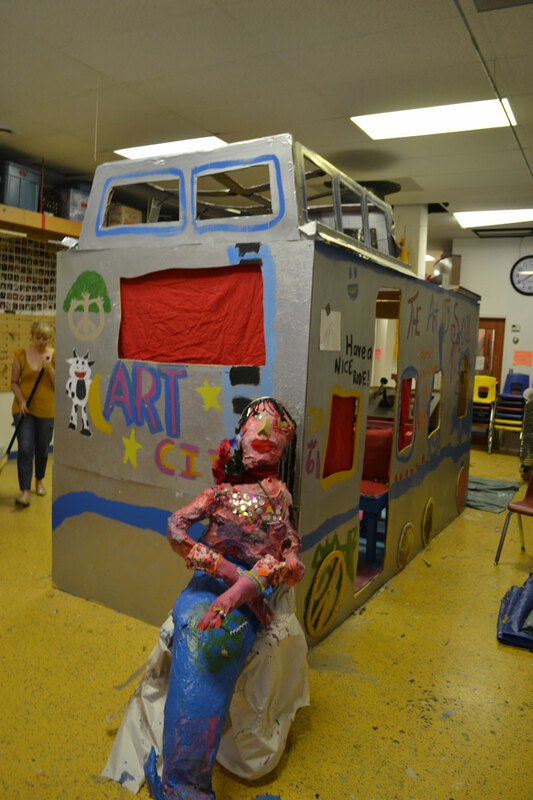 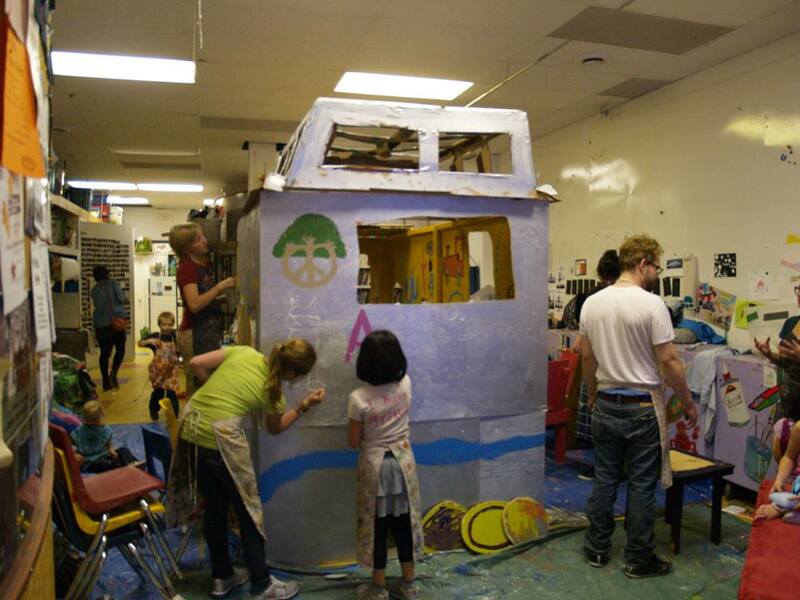 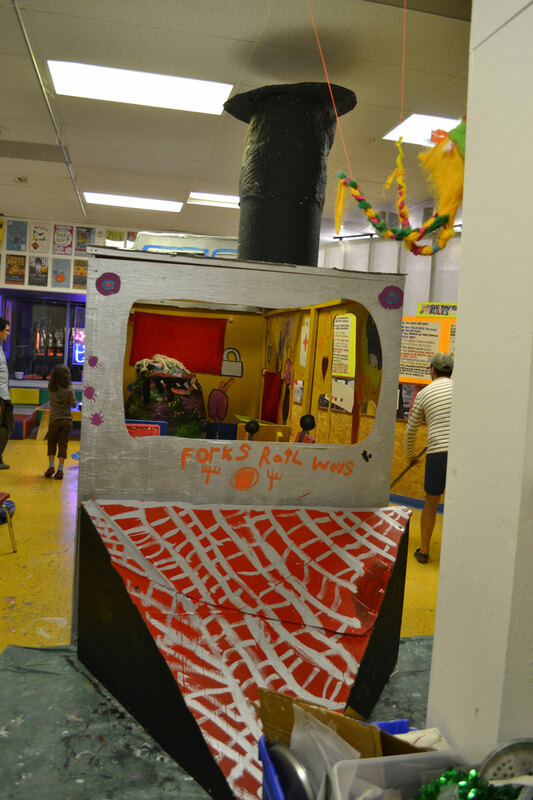 In September 2014 we built a giant train car at Art City in Winnipeg. 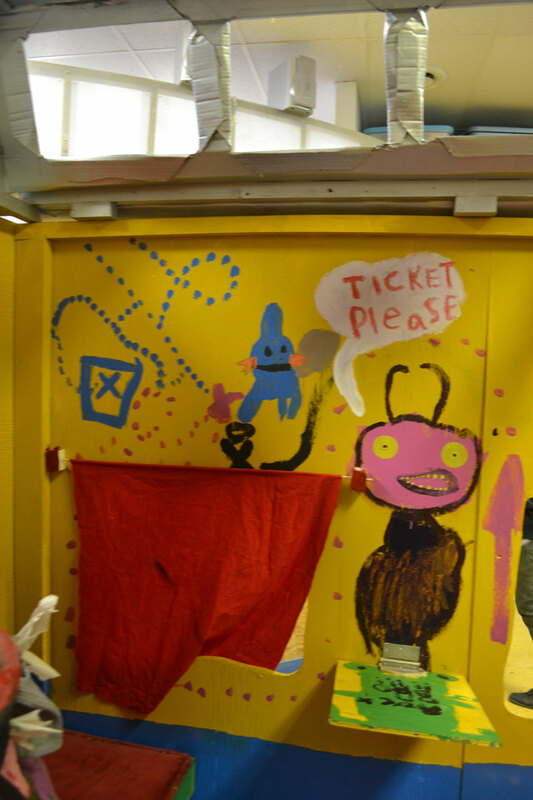 We asked the participants who they wanted to sit beside on a long train journey with the most (A mermaid) and the least (A sock eating stink monster). 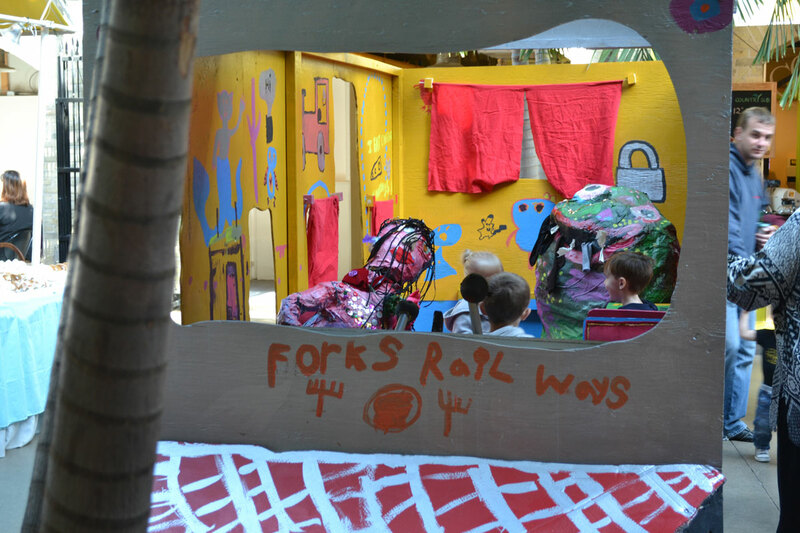 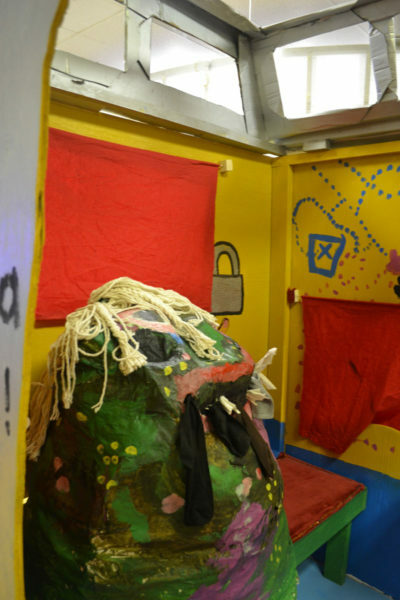 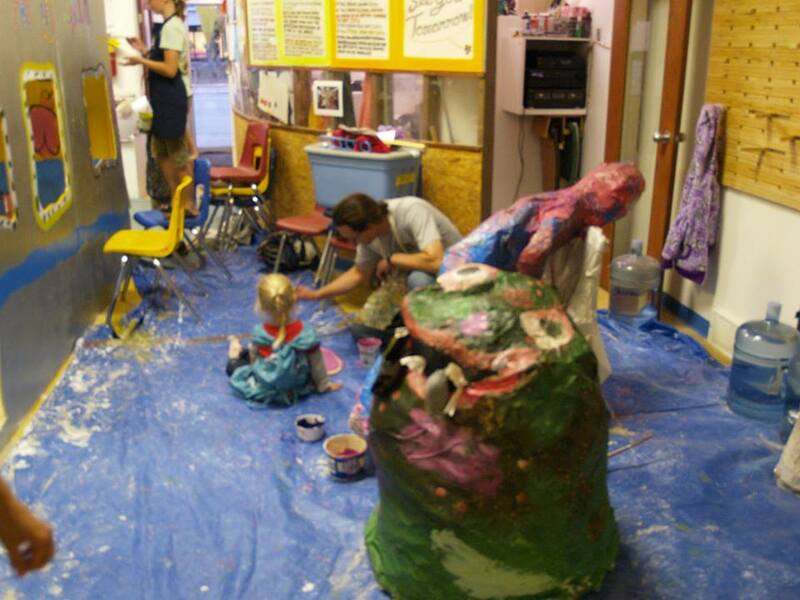 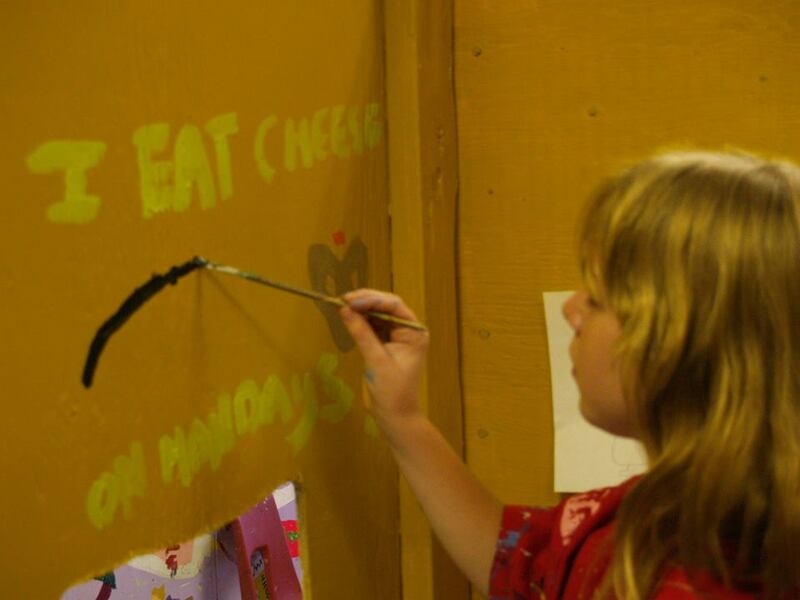 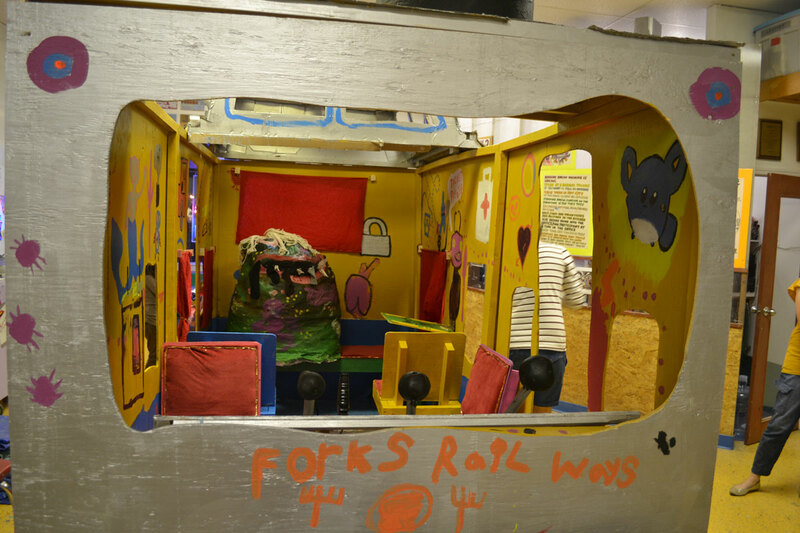 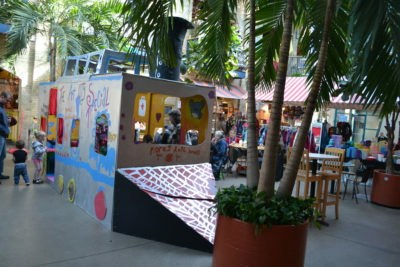 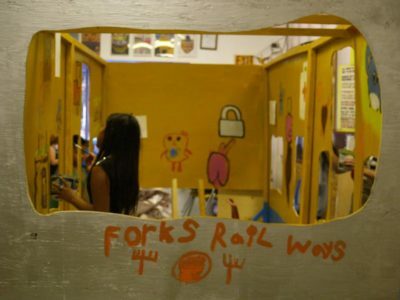 This workshop lasted one week at Art City and the completed immersive play-in art installation was then exhibited at The Forks Market.